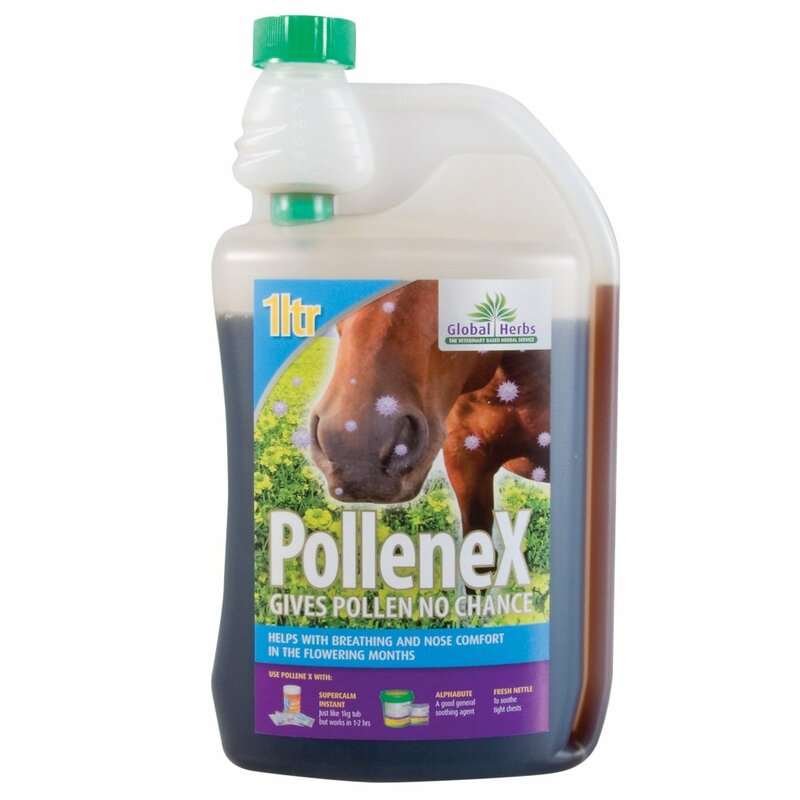 Global Herbs Pollenex is formulated to bring relief for equine hayfever sufferers! In the summer months, pollen and other airborne particles can make life very uncomfortble for your horse, and this is often displayed through head tossing, itchy noses and runny eyes. This traditional blend of plant extracts, including nettles, has been shown to provide an effective nutritional approach against summer breathing problems. Global Herbs Pollenex Syrup is a weaker, more palatable form of Pollenex Powder.